Formerly called La Tache and Lee Moore’s, the city of Lemoore is located in Kings County, California. It’s also part of the Hanford-Corcoran Metropolitan Statistical Area. It has a different type of government since it’s incorporated as a general law city under the California Constitution. This means the city has a council-manager type of government where in there are five members in the council who appoints a city manager. And among the five members, the mayor and mayor pro tem are elected. Lemoore was named after Dr. Lovern Lee Moore, a French man who helped establish the first center of business and communication within the community. Before Dr. Moore built his first home in April 1871, there are already existing individual farms from local farming families scattered across the land. But as Lake Tulare retreated, more lands ideal for farming were available to cultivate and develop. Even though the lake receded, wells were still easy to dig and water was plentiful, enough to support the farming families. Shallow wells were dug to irrigate the soil and supply each family’s water needs. But even with a rich land, the original settlers do not have easy access to the outside world. They had to drive by horse as far as six miles to Grangeville settlement to send and receive mails from the post office or buy newspapers. In 1872, Dr. Moore established the first real estate development in the district after he conducted a survey on a 10-acre subdivision. The streets were then named after the founding families. By summer, more people were welcomed to settle in the community as lands were auction and handed over the highest bidders. The young town continued to develop as new homes and buildings for businesses began to rise, but it still lacked school for the children, an official name, and a post office for communication. To resolve the problem on receiving and sending letters, Dr. Moore signed a petition to the U.S. Post Office Department in Washington for the establishment of a post office in the community. The petition was only granted a year later, in in 1873. The post office finally opened in 1875. In the same year, 1873, a good samaritan donated 2 acres of land to address the lack of school facility. The first school building was completed and dedicated at a country dance held in December 1873. When the railroad line was put through Lemoore in 1877, the business growth of the town was redirected near the railroad. As for its official name, the city was to be named “Latache” (Lake District) but due to the U.S. Post Office’s objection, Dr. Moore’s surname was combined while omitting letter “e” from Lee. The town was officially named Lemoore CA in the 1920’s. The founding father died on September 11, 1898, after 25 years of service. And in July 1900, the town became an incorporated city. 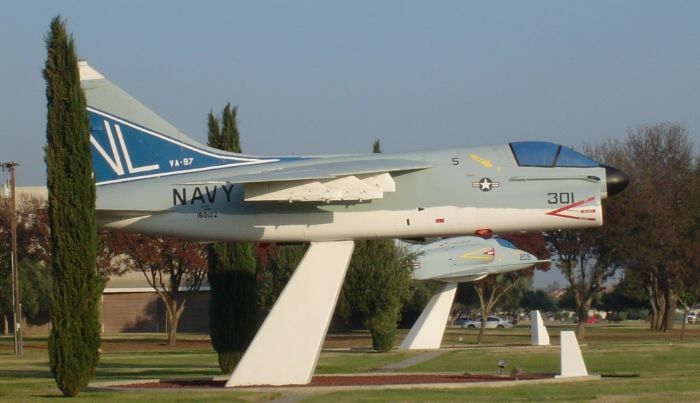 The Naval Air Station or NAS Lemoore is a U.S. Navy base located in Kings County and Fresno County. It is the Navy’s newest and largest Master Jet Base where Strike Fighter Wing Pacific, along with its associated squadrons is home based. The facility now hosts the Navy’s entire west coast fighter/attack capability. Since the early settlers were cultured people, the city of Lemoore has a great foundation in literary and musical accomplishments. To this day, it’s considered that their accomplishments are unmatched by many pioneer towns. Today, it’s a flourishing community and strives to accommodate the needs of its people. This includes a reliable Lemoore air conditioning. You may find this article on Hanford an interesting and informative page as well.